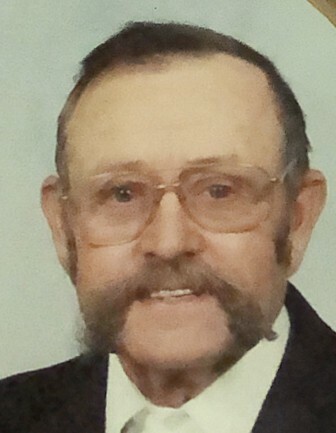 Lloyd Henry Agans, age 87, of Versailles, Illinois passed away at 11:20 a.m. Friday, February 8, 2019 at Culbertson Memorial Hospital in Rushville, Illinois. He was born July 18, 1931 in Brown County, Illinois the son of Henry and Eva May Chapman Agans. He married Marilyn Rose Surratt on February 4, 1950 in Mt. Sterling, Illinois and she preceded him in death on April 16, 2010. Lloyd was a lifelong Brown County farmer and had also worked at Prillmeyer’s Meat Locker in Hersman for several years. Earlier in life he and Marilyn trained standardbred race horses. Lloyd attended Brown County schools. 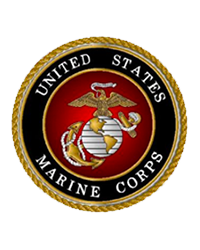 Mr. Agans was a veteran of the Korean War having served his country in the United States Marine Corps. Lloyd was a member of the Versailles Christian Church. He always enjoyed playing baseball and enjoyed serving as a youth baseball and softball coach in Brown County for over 40 years. Lloyd was a charter member of the Versailles Lions Club having received the Versailles Lion of the Year award. He also awarded the Versailles Fall Festival Man of the Year award and the Brown County Farmer of the Year. Survivors include one daughter Jackie Cooper of Versailles, Illinois. 2 grandchildren Jake Cooper (Becky) of Perry, Illinois and Courtney Cooper of Griggsville, Illinois. 3 great grandchildren Brandon and Kailynn Waugh and Henry Cooper all of Perry, Illinois. 1 brother Robert Agans (Marianne) of Springfield, Illinois and 2 sisters Ruby Ragon of Bushnell, Illinois and Marie Hamilton of Quincy, Illinois also survive along with several nieces and nephews and his beloved dog Lucky. Funeral services will be held at 11:00 a.m. Wednesday, February 13, 2019 in the Hendricker Funeral Home in Mt. Sterling with Rev. Mark Bledsoe officiating. Burial will follow in the Versailles West Side Cemetery. A military service will be conducted at the graveside. Memorials are suggested to the Versailles Christian Church. Condolences for the family may be left on line at www.hendrickerfuneralhome.